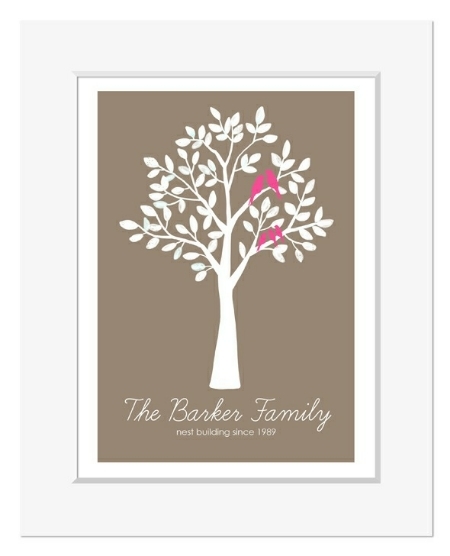 Beautiful bespoke prints, celebrating your family - a perfect gift for any occasion. Ideal for celebrating a wedding anniversary, birthday, a gift for grandparents, or to mark the arrival of a new baby! About your Print: Your artwork will be created to order and printed onto very high quality gloss finish paper stock. It will be posted with a backing board and smooth white finish bevel cut mount, and will be smartly presented sealed in a protective crystal clear presentation sleeve. Your print will be posted in a strong hard backed envelope and will require a signature on delivery. The overall size of the mount is 10"x8" and will fit into any standard 10"x8" picture frame, or a larger frame with a 10"x8" aperture. 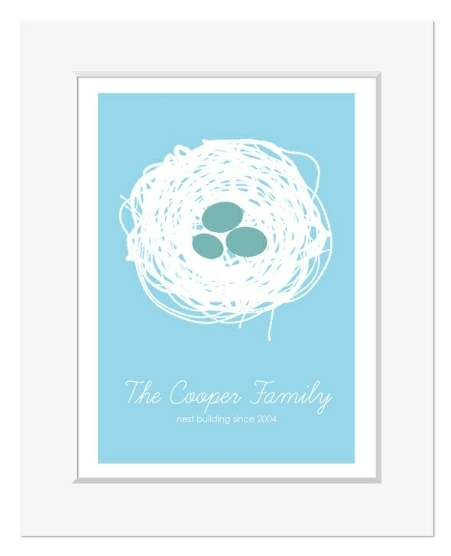 Stylish, contemporary prints featuring your family name and the wording "nest building since" followed by your chosen year. Available in a choice of three colours. The print will feature as many eggs as you wish - adults are represented by larger eggs, children by the smaller eggs. When ordering, please use the space provided on the form to enter the name and date you would like to appear, along with details of the number of adults and children. Contemporary prints featuring your family name and the wording "nest building since" and your chosen year. The print will feature as many birds as you wish - adults are represented by larger birds, children by the smaller birds. Available in a choice of three colours. A really lovely gift idea for doting grandparents - perfect for Mother's Day or Father's Day too! 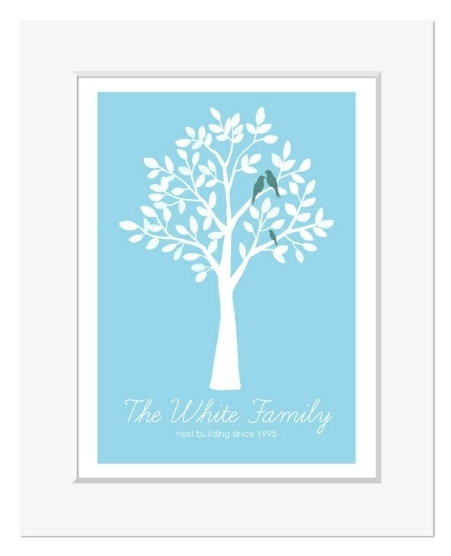 The prints are available in a choice of 3 colours, and feature the wording 'Grandchildren - the greatest blessing in life', followed by the first names of the grandchildren. Each grandchild is represented by a bird on the tree too. When ordering, please use the space provided on the form to enter the first names of all the grandchildren, seperating each name with a comma or full stop.